Had such a great run today with my dog. 8 miles of big fluffy flakes. Love the snow! Wish our mountains would get some. Good to see Cola out running with you again. Fluffy snow is the best and Cola looks so happy to be running again! I find myself staying inside when it snows. Just not sure what to wear. Will you be doing a 'what to wear in the snow' post? I was actually just getting a little sad today thinking we may not have a winter in these parts, so to say I'm jealous of your snowflakes is an understatement! Glad you had a good run though! /send me some of the white stuff please!!!!! Great that your dog is doing so well! way to go christi and cola!!! Yay for running with Cola!! This is actually helping me get out the door and run with Bungee this morning. Looks like my kind of run! 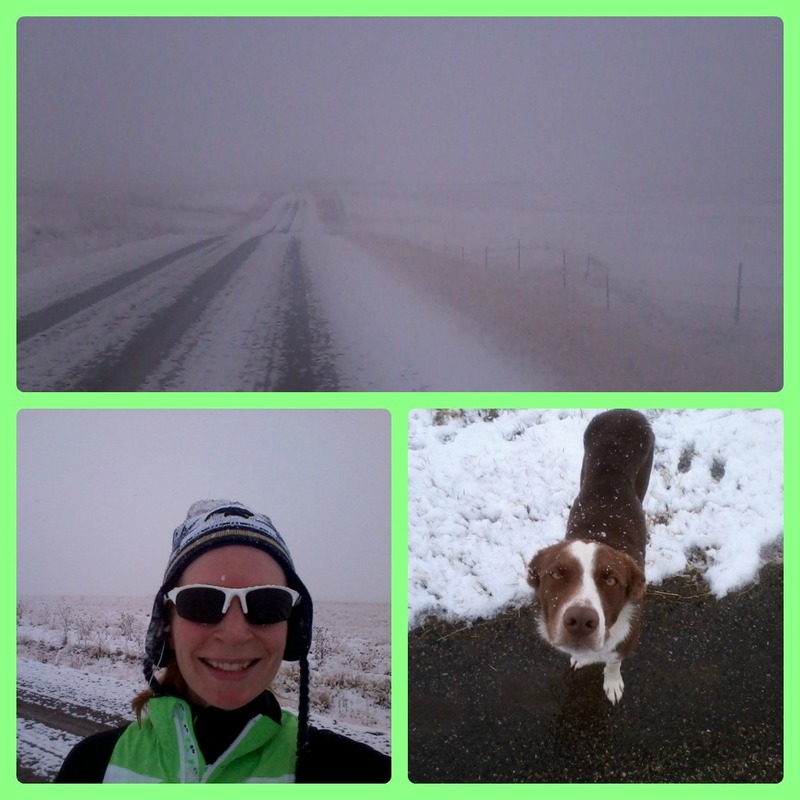 Nothing beats a peaceful run in new snow. Nothing.